 Mouse anti Human TIMP-1 antibody, clone T2 recognizes human Metalloproteinase inhibitor 1, also known as TIMP-1, Erythroid-potentiating activity, Fibroblast collagenase inhibitor or Tissue inhibitor of metalloproteinases 1. TIMP-1 is a 207 amino acid ~28 kDa secreted metalloproteinase inhibitor. reacting with both the reduced and non-reduced forms of TIMP-1 (UniProt: P101033). TIMP-1 is expressed by a wide range of cells including microvascular endothelial cells, smooth muscle cells, mesangial cells and some fibroblasts. TIMP-1 inhibits matrix metalloproteinase activity by forming complexes via reversible non covalent binding. It is reported to be involved in the control of angiogenesis and tumour growth. Mouse anti Human TIMP-1 antibody, clone T2 has been shown to inhibit biological activity (Koike et al. 2002). Koike, T. et al. (2002) MT1-MMP, but not secreted MMPs, influences the migration of human microvascular endothelial cells in 3-dimensional collagen gels.